Restaurant group adds Steak\1884 to Hull’s Fruit Market area. Pictured LtoR Laura Waller, James MacLeod-Birch, Gary Laughton. 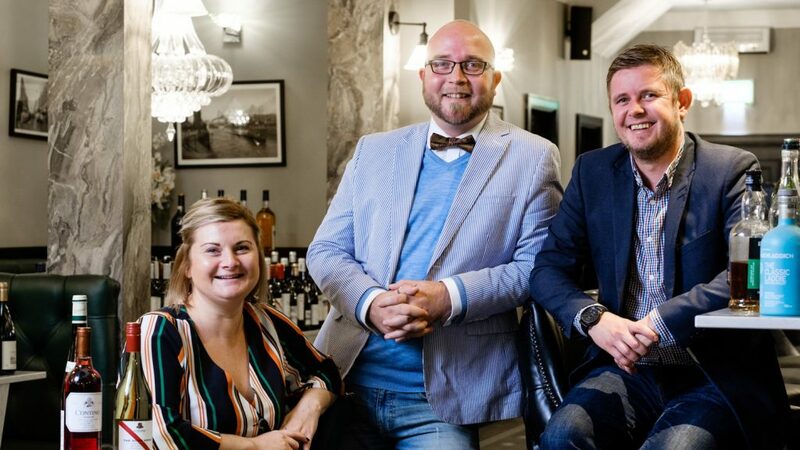 The team behind one of East Yorkshire’s most revered restaurants will launch their latest venture next month in one of the region’s new dining hot-spots. James MacLeod-Birch, the Director of the acclaimed 1884 Dock Street Kitchen in Hull, will open Steak\1884 around the corner in Humber Street, in the regenerated Fruit Market area which is undergoing a transformation featuring stylish restaurants, shops, galleries and creative businesses as well as a high-quality development of 101 new homes. James will be joined by Head Chef Laura Waller and Deputy General Manager Gary Laughton – both part of the senior management team which helped Dock Street Kitchen secure a string of regional and national restaurant awards as well as glowing reviews from national food critics. They are working towards a public opening date of Friday 16 November for a restaurant which is inspired by the art deco interior of the new building and by the popularity of steaks at Dock Street Kitchen. The opening of Steak\1884 will complete a reshuffle of the group’s businesses which began in June with the closure of Dock Street Kitchen. 1884 Marina Bar opened in those premises in August and will be joined next week by Barrow Boys, which opened in July and is relocating from the Humber Street property to offer larger scale entertainment and a late licence. Cucina 1884 will open in Hessle in November as a high-end Italian restaurant with a new counter service concept. 1884 Wine and Tapas Bar, which opened as The Wilson in 2010 before a revamp in 2015, continues to win accolades at the western side of Hull Marina. Work is under way to make some alterations to the Humber Street property following the departure of Barrow Boys. The kitchen will be completely refitted and there will be some changes to the décor. A meat locker next to the entrance will display some of the menu options sourced from Taste Tradition and the Great British Wagyu Company in Thirsk. Prime beef will be presented on a trolley for diners to select their preferred cut and thickness, before their choice is weighed, taken into the kitchen and cooked to perfection. There will be vegetarian and seasonal pescatarian alternatives including oysters and seafood platters, plus specials such as partridge, poussin and pork chops. Steak\1884 will be open for lunch and dinner from Tuesday to Saturday and will also serve traditional Sunday lunch. James said: “We are putting in an entire new kitchen with plenty of prep space and the right grill to cook the best steaks. It will also be an oyster and chop house with a board on the wall displaying the breeds of cattle and information about the other dishes, including freshly-baked oysters. The capacity of 40 plus a separate drinks area is in keeping with the compact charm of 1884 Wine and Tapas Bar and Cucina 1884. James said: “The style will be intimate and engaging, encouraging people to take their time and enjoy the food, drink and surroundings. It’s a beautiful space and it hasn’t been open long so doesn’t need much doing to it. Steak\1884 is taking bookings by email now at Reservations@steak1884.com and by phone from Monday 29 October at 01482 326090. Be the first to comment on "Restaurant group adds Steak\1884 to Hull’s Fruit Market area."